Predictions about the changes that Aotearoa/New Zealand is likely to encounter in the next dozen years is the topic of the 2018 Winter Lecture Series, taking place at the University of Auckland through July and August. 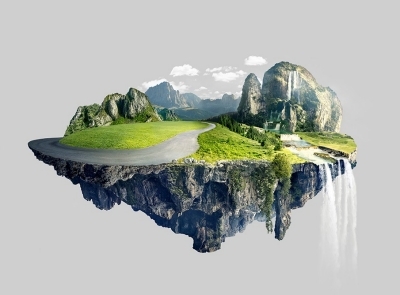 Aotearoa in 2030 is the theme of the six-lecture series, presented by local and international experts, which delves into the pressing social and environmental challenges the country faces. Speakers include an Earth system scientist who specialises in integrating indigenous knowledge and science, a Professor of Green Chemistry, a social anthropologist who specialises in water and indigenous rights, ecologists, conservation biologists, psychologists and philosophers, to name a few. New Zealand has conventionally been known as ‘a great place to raise children’. How can our cities be more child-friendly and inclusive? Drawing on local research and international examples, Robin will examine ways that children can be partners in defining our collective future through being offered a more secure, active and equitable place in our urban world. Thinking about urban transport futures has lately tended towards technological mysticism. But if we were to set a vision for transport and urban planning that supported positive wellbeing and fairness, it might look less flashy. Drawing together her own experience doing research and translating it into action, and the experiences of others in Auckland and overseas, Alex will explore deceptively ordinary looking yet iconoclastic transport futures. Alex is a public health physician and senior lecturer in environmental health in the Department of Preventive and Social Medicine, University of Otago. Her interest in cities started as an orthopaedic registrar, engaged in the very wasteful activities at the bottom of the road traffic injury cliff. She has spent the last decade on research and action aimed at shifting urban futures towards health, fairness and environmental sustainability. Humanity has altered the oceans at a global scale through hunting, over-fishing, pollution, and climate change. However, new models of ocean governance are emerging whereby governments are taking responsibility for the health of their seas and setting aside conservation areas. International conventions provide a framework for this, including the United Nations Convention on the Law of the Sea (UNCLOS) and Convention on Biological Diversity. Pacific Island nations are taking leadership by flipping the governance model to protect all of their ocean, and then zoning permitted activities within it, rather than the present model where only small areas are protected. Finally, drawing from indigenous knowledge and worldviews of a kinship-based relationship of balance with everything, and buoyed by Te Urewera Act 2014 and Te Awa Tupua Act 2017, we imagine the oceans as their own legal entity. Here, we illustrate the history and success of marine reserves and share a vision of new governance and conceptual models that ensures healthy oceans that provide sustainable food and recreation for future generations. 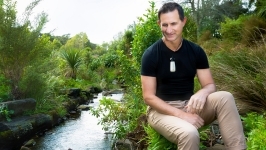 Dan will speak regarding how incorporating Maori philosophy, rights, and respect for nature, will lead to a more environmentally sustainable way of life. Sue will show the remarkable progress in protecting very large areas of ocean by the Pacific islands and how this precautionary approach could be extended to New Zealand and elsewhere to improve management of the oceans. Mark will provide a global perspective on MPA and how New Zealand can take a leading role internationally by showing how environmental rights and a nature-centred approach to ocean management will lead to a more healthy ecosystems and human well-being. 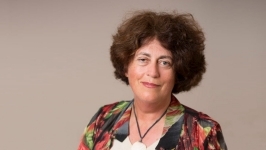 Sue is based at the University of Auckland and leads CI’s Pacific Islands Programme, including support for the Pacific Island Forum Leaders’ Pacific Oceanscape. The Pacific Oceanscape aims to foster integrated island and ocean management and a secure future for Pacific Island nations in the face of climate change. Sue Miller Taei is a part Samoan New Zealander and has lived and worked in Samoa and New Zealand and the region for more than 30 years. She has designed and led many Pacific Island conservation initiatives including marine species, invasive species, birds and notably as one of the leads for large scale Marine Protected Areas in the Pacific. She has also advocated on issues of climate change and the ocean, including maritime boundary concerns for sea level rise impact, ocean acidification, and loss and damage issues. She was the Pacific Islands CBD and Biodiversity Convention Adviser from 1994-2000 and has extensive knowledge of the CBD and international biodiversity related conventions and agreements. Dan is an Earth System Scientist who integrates mātauranga Māori and science to realise the dreams and aspirations of the communities he works with and is currently a senior lecturer in Māori Studies at the University of Auckland. From 2011 to 2016 he was the Research Director at Ngā Pae o te Māramatanga, New Zealand’s Māori Centre of Research Excellence. He is an established world expert on integrating indigenous knowledge and science and has undertaken many projects including co-writing the 2014 State of the Hauraki Gulf Environment Report, geothermal developments, planning river and catchment restorations, co-writing iwi environmental management plans, Independent Review Panel member of Sea-Change Tai Timu Tai Pari marine spatial planning for the Hauraki Gulf, hazard and vulnerability assessments and industrial waste rehabilitation. 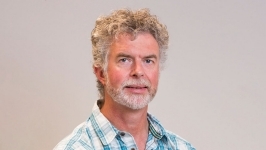 Dan has been spearheading alternative ways of assessing sustainability, including integrating indigenous knowledge and epistemologies into assessment frameworks and decision-support tools. Mark is passionate about the need for more fully-protected Marine Reserves for economic, social, spiritual and scientific reasons. Related research interests include global patterns of biodiversity and biogeography, biodiversity informatics, methods of biodiversity measurement including habitat mapping, and invasive species ecology. He conducted his PhD in Ireland’s first marine Nature Reserve, Lough Hyne, and led the BioMar project, the largest marine ecological survey of Ireland that recommended a national network of Special Areas of Conservation (MPA). He has published policy-orientated articles in top science journals (Science and Trends in Ecology and Evolution, Nature) showing that, globally, marine conservation is protecting far less of ocean life than official statistics suggest. The chemical enterprise is a pillar of our high technology civilization. Yet chemicals that deliver great benefits today too often come with deadly downsides for tomorrow. Unlike in ages past, as chemical contamination makes societies progressively unliveable, we have nowhere to escape to. It follows that the pioneering stage of building new societies to escape unacceptable conditions has to shift from the historical pattern of moving somewhere else to set up something new and free from the objectionable encumbrances of the old, to recreating our world from within. Looking from afar, I am proud to see the University of Auckland in the beautiful land of my birth, “Freedom’s ramparts on the sea”, embracing green science to move the chemicals sector from current practices to alternatives that prioritize the welfare of the future. I will describe the systematic approach my team and its many magnificent collaborators are building to tackle these problems head-on and to develop sustainability solutions through chemistry-centred, multidisciplinary education, research and development. Our biggest challenges are cultural more than technical and present perhaps the greatest opportunity humanity has ever had to reinvent itself as a more realistic and competent steward of the ecosphere. When people commit themselves to learning how to love the future, they embrace inspirational and transformative powers offering the comforts of personal centeredness and competence that are critical building blocks of global peace and harmony. Professor Terrence J Collins is also an Honorary Professor and Distinguished Alumnus of the University of Auckland. Professor Collins earned his doctorate from the University of Auckland and then conducted postdoctoral studies at Stanford University. He taught first at Caltech and joined the faculty at Carnegie Mellon University in 1987. He started teaching green chemistry in 1992, creating the first course of this type anywhere. His pioneering research, which has helped to develop the interface between chemistry and sustainability, began before green chemistry was a recognized discipline. His achievements have been acknowledged by many awards including: the US Presidential Green Chemistry Challenge Award (1999), the Pittsburgh Award of the American Chemical Society (2004), Award of the New York Metropolitan Catalysis Society (2007), Charles E. Kaufman Award of the Pittsburgh Foundation (2008), Heinz Award for the Environment (2010) and Fellowship of the American Chemical Society (2013). Recognized internationally for his research on TAML activators, his green chemistry education, and public speaking on the chemical dimension of sustainability, Professor Collins continues to champion the sustainability cause. New Zealand’s freshwater environment holds many intrinsic values – cultural, environmental, economic and social. These have been impacted by siltation and excessive nutrients, and native species loss due to pollution and introduced predators. It is now recognized that agricultural growth at the price of polluted freshwater is not sustainable. This lecture will clarify the current state of freshwater quality, including its biodiversity. We will present a philosophical, Māori cultural and scientific framework as to how rivers, lakes and wetlands may be restored to healthy ecosystems and flourishing native biodiversity. We will share a vision of what healthy, regenerating rivers, lakes, and wetlands would look like, and their potential to enhance our cultural, environmental, economic and social values and create a more vibrant New Zealand in 2030. Professor Gillian Lewis, Biological Sciences: Rivers flow in space and time: Governance for people is governance for ecosystems. Gillian is currently Professor of Microbiology at the School of Biological Sciences and University Proctor. Her research focusses on the interactions of complex microbial communities and their response to natural and anthropogenic impacts in freshwater environments and the safety of drinking water, beaches and marine waters and the transmission routes of water borne pathogens. Gillian is an expert on water quality issues and has consulted on several aspects of the NZ regulatory framework for food safety and water quality. She has published over 80 peer reviewed articles and one book on Water Microbiology and Ecology. Senior Research Fellow Marama Muru-Lanning: Return to the River: In Search of Te Mana o te Wai. Marama Muru-Lanning is a Senior Research Fellow and Director of the James Henare Research Centre at the University of Auckland. Her research is primarily concerned with debates and critical challenges in social anthropology where she focuses on the cultural specificity of Māori and their unique sense of place and belonging in New Zealand. What distinguishes Marama nationally as a social scientist is her specialization in water, environment and indigenous rights. Marama’s current research focuses on Māori perspectives of commodifying and privatising freshwater and other natural resources. Marama was awarded a Visiting Chilean Research Fellowship in 2015 and has conducted research with international policy scholars examining the impacts of increased privatised geothermal and hydro electricity generation on indigenous Mapuche who live in Southern Chile. Her book Tūpuna Awa: People and Politics of the Waikato River, was published by Auckland University Press in 2016. Marama is from Tūrangawaewae Marae and is of Waikato Tainui and Ngāti Maniapoto descent. Our native flora and fauna are a treasured part of the New Zealand environment and our national identity. By 2030 New Zealand will be nearly halfway to its 2050 goal of eradicating introduced mammalian predators. But already, the countryside and urban areas will be on their way to transformational changes. The first half of this talk will outline what the terrestrial animal ecosystems of New Zealand will look like after achieving the interim 2025 goals of Predator Free NZ, with birds and reptiles in abundances greater than seen in over a century on the mainland. The second half of the talk will consider conservation challenges other than invasive pests, such as habitat fragmentation and the effects of climate change, and the kinds of tools we have available to tackle these threats. We will discuss New Zealand’s flora and fauna in a 2030 where their threats are being successfully managed by an engaged population. Cate is a senior lecturer in Ecology in the School of Biological Sciences at the University of Auckland. She is a plant ecophysiologist with an interest in climate change impacts on water and carbon cycles of forests. 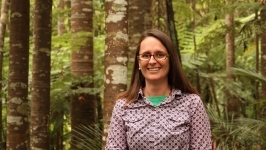 Her current research focus is drought and native forests. When she's not climbing trees, she enjoys baking brownies and spending time with her family. 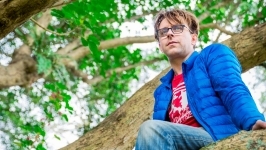 James is a conservation biologist at the University of Auckland. His work focuses on restoring island ecosystems from anthropogenic disturbances such as invasive species, habitat loss and climate change. Our Civil Society in 2030: Spiralling polarisation or democratic renewal? How will political life look in 2030? How can our democratic institutions and civil society work effectively to identify and implement just solutions to pressing social and environmental challenges? For example, how can we increase public support for collective action on issues such as social welfare, indigenous rights, immunization and climate change? This talk will draw on research and theory in psychology and philosophy to outline how we can increase political engagement and decrease political polarization. We will present research highlighting the psychological barriers to political engagement and collective action, including the paradoxical effects of belief in a ‘fair system’. We will also present an analysis of how public scepticism can emerge in cases where there is a well-established scientific consensus. We will conclude with suggestions for how to counteract these tendencies and grow more effective collective action for New Zealand in 2030. Danny is a lecturer in the School of Psychology at the University of Auckland. 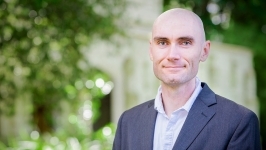 His programme of research examines the intersections of intergroup relations and political psychology, focussing particularly on factors that contribute to - and impede - people’s intentions to redress inequality. Danny has published numerous papers in this area and has won several early career awards for his research. Before joining the School of Psychology in mid-2011, Danny was a PhD student at the University of California, Los Angeles, where he studied the effects of stereotype activation on errors in eyewitness identification. 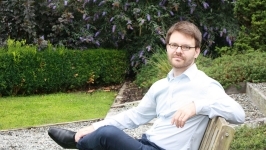 Matheson is a senior lecturer in Philosophy at the University of Auckland. He works primarily in the field of social and political philosophy, but he also has interests in social epistemology. His research investigates the social nature of reasoning and argumentation with a particular focus on how this informs our idea of democracy. He is currently working on a book called Habermas and Politics: A Critical Introduction.